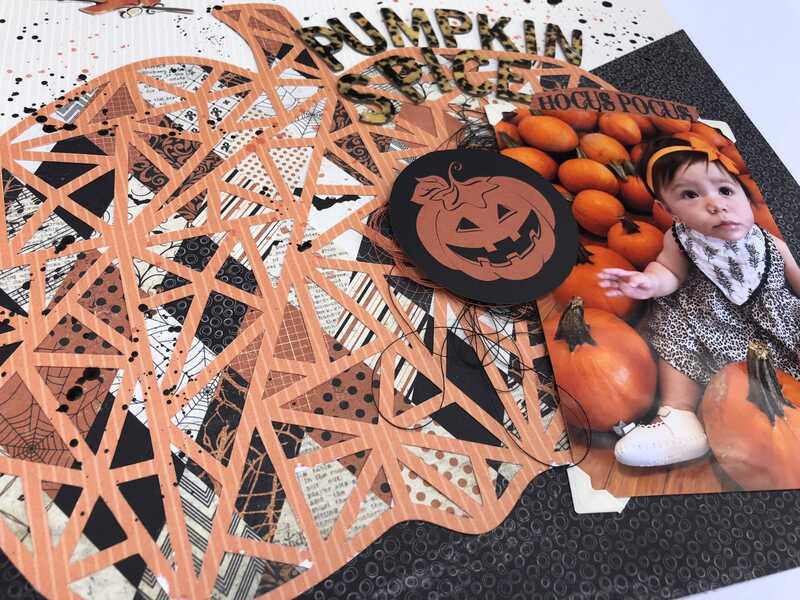 How boo-tiful is this pumpkin scrapbooking layout?! We love all the details and different techniques Evi uses in her layouts. 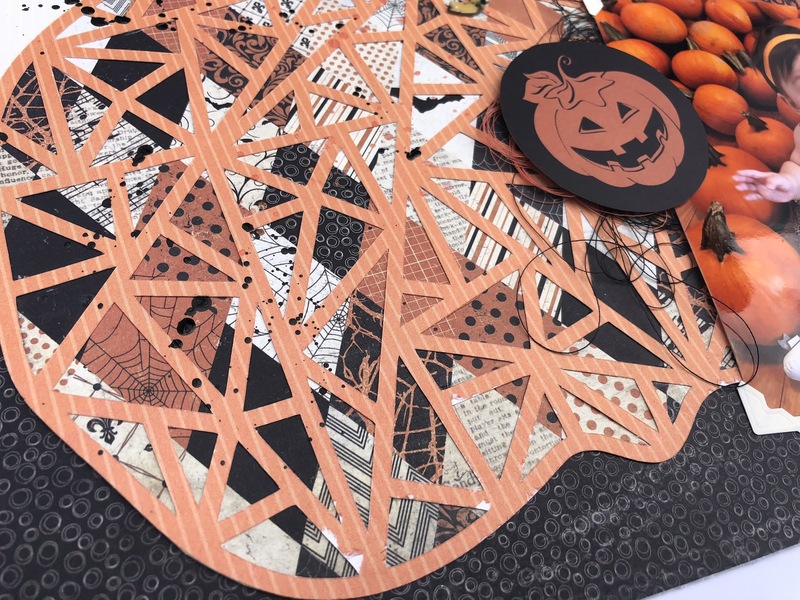 We especially love how she’s the multiple-patterned print paper from the Nightfall Scrapbooking Kit behind the cut out of the pumpkins. Another crafty technique is to use splatters of ink on the paper to add fun dimensions. You can see here how Evi uses orange and black ink splatters on the ivory lined background paper. 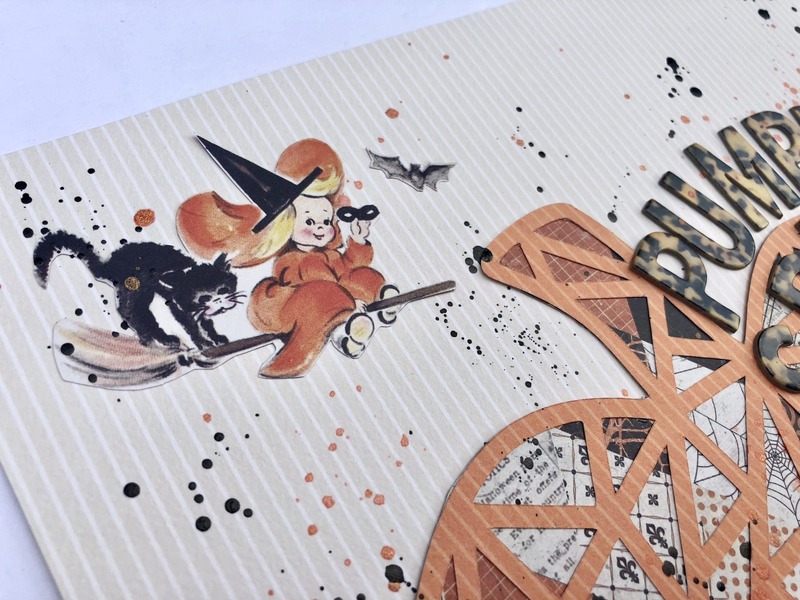 She also adds an adorable cut out element from the Nightfall Scrapbooking Kit. There are a few more scrapbooking techniques Evi has up her sleeve. A signature element of her layouts is a cluster of a thread. You can see here how it is subtly placed behind the super cute jack-o-lantern and also the photograph. Finally, with the addition of the seasonal PUMPKIN SPICE title and adorable picture of her little her, this layout is just amazing! 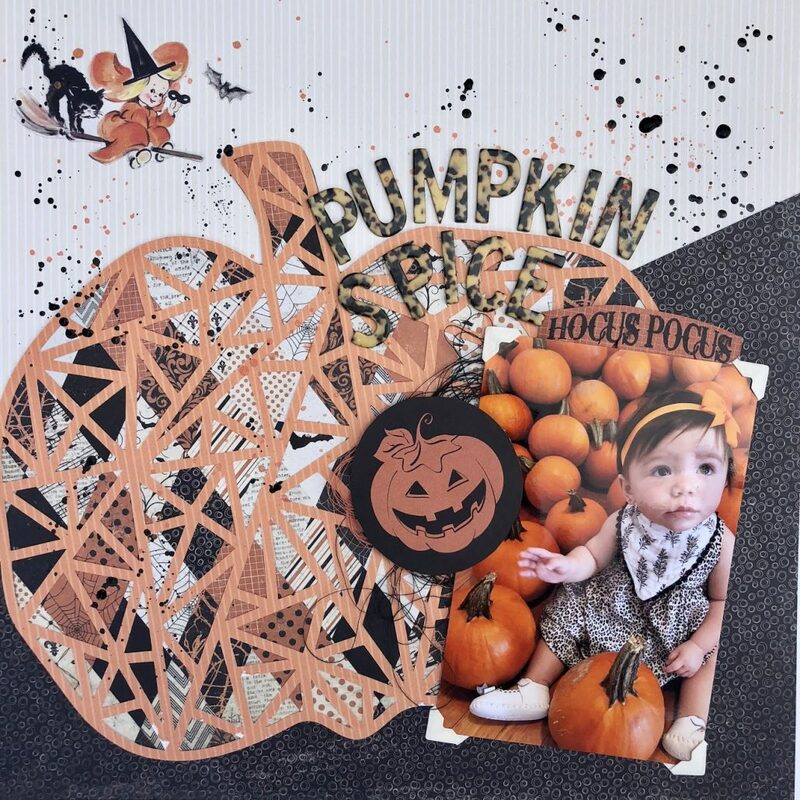 If you’d like to achieve this similar look, Evi uses a cut file from the Silhouette Cameo: Paige Evans, Geometric Pumpkin, Design ID #278103. 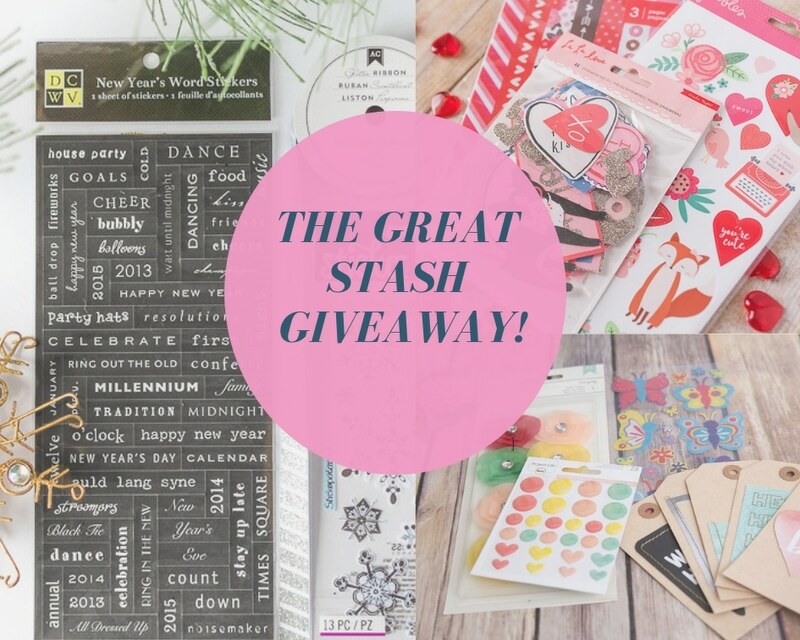 If you like these layouts, head to our Instagram and you can see even more inspiration!